← How can catch and release fishing be legal in no-take waters? Night fishing in lakes with submerged lights? Answer: Yes, it is legal to use lights when fishing at night when and where such fishing is permitted. Lights may be used on or as part of any fishing tackle (California Code of Regulations Title 14, section 2.15). 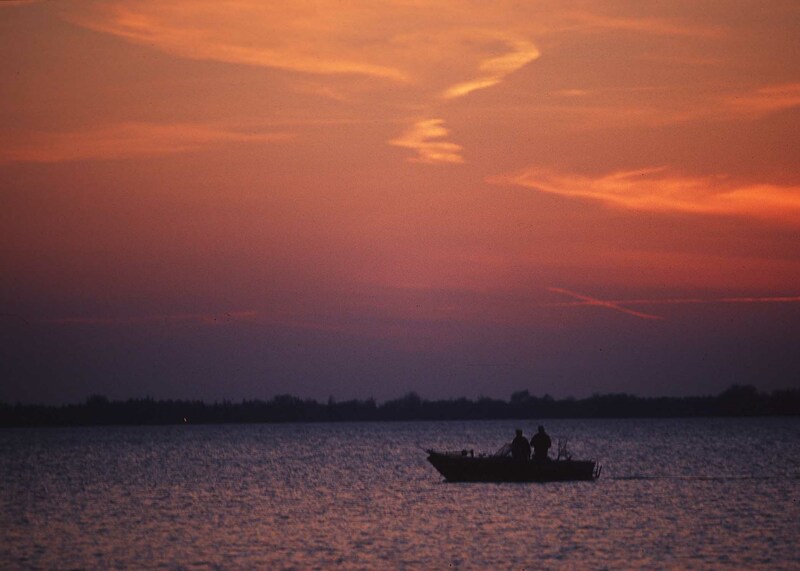 Just make sure that the waters where you plan to fish allow for nighttime fishing. Some lake managers or concessionaires at managed lakes do not allow for any fishing after dark. When it comes to trout or salmon though, it is not legal to take them at night in many waters. For exceptions to this rule where trout and salmon may be taken at night, please review CCR Title 14, section 3.00 found on page 14 in the 2010 California Freshwater Sport Fishing Regulations booklet. Carrying a concealed handgun with a permit from another state? Question: Is it legal for me to carry a concealed handgun in California if I have a CCW permit from a neighboring state? Answer: Concealed Carry Weapons (CCW) permits for handguns are issued by the counties and only to residents of cities and counties within California. No provision or exception is given for anyone who is not a resident of California. CCWs issued in another state are not recognized by California. For more information on firearms questions not related to method of take, please contact the local police or sheriff’s office in your area or the Bureau of Firearms at http://ag.ca.gov/firearms/. To print out a booklet on California firearms laws, please go to http://ag.ca.gov/firearms/forms/pdf/Cfl2007.pdf. Using aquarium fish for bait? Answer: No, the moving of fish is prohibited. Live fin fish taken under the authority of a sportfishing license may not be transported alive from the water where taken (CCR Title 14, section 1.63). Can I own a Pacific ring-neck snake? Answer: Yes, you may possess up to two Pacific ring-necked snakes (Diadophis punctatus amabilis). This is one of the reptile species listed with provisions allowing for their take and possession (CCR Title 14, Section 5.60). If you plan to capture this snake from the wild, be aware the law requires that in order to take legal reptile species from the wild (except rattlesnakes), a person must first purchase a sportfishing license. Canaries or vermilions – How to tell these fish apart? Answer: Canaries and vermilion do look alike at first until you learn some of the subtle differences which will then make them pretty easy to differentiate between. Canaries are the fish you will not be able to keep and here are some of their key characteristics. They are orange to red in color, have a clear line extending along the lateral line from head to tail, are smooth under their jaw (vermilions are rough to the touch), have no black edges to their fins like the vermilions, and have a slightly forked tail fin. For a good visual comparison of these two species, please go to our website at http://www.dfg.ca.gov/marine/pdfs/canary_id.pdf for a nice chart that will help make these character differences easy to see. Good luck and keep fishing! This entry was posted in Bait, Firearms/Ammunition, Fishing, Methods Of Take, Pets, Transporting Taken Animals and tagged CCW, firearms, freshwater fishing, lights, ocean fishing, regulations, reptiles. Bookmark the permalink. Hello, I have only just invested in my first computer & to find so much material on the internet about fishing is really astounding!